The Balanced Dog is a dog trainer specializing in behavior modification based out of Bridgewater, Virginia and serving the entire Shenandoah Valley and beyond. 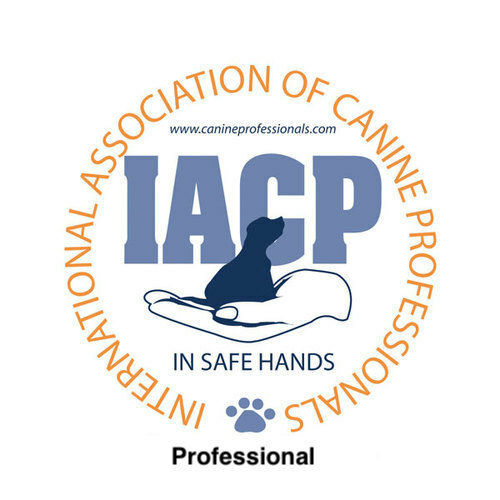 Located in Fulks Run, Virginia, The Balanced Dog is owned and operated by Jessica Troop, an associate member of the International Association of Canine Professionals (IACP) and President of the Therapy Dog International Local Chapter 296 in Virginia. The Balanced Dog offers a holistic, whole-family approach to dog behavior and specializes in helping families better understand their dog's behavior so that they are equipped to change unwanted behaviors and live harmoniously with their beloved pets. We offer dog behavior modification sessions, dog behavior boot camp (for more complex cases), phone and email follow-up counseling, boarding at our NEW facility in Fulks Run and much more to our clients. If you are seeking a dog behavior specialist in Virginia, or a dog trainer in Virginia, look no further than The Balanced Dog. Don't wait another minute to get your dog's unwanted behavior under control! Call The Balanced Dog today at (540) 236-2698. Email us at BalancedDogLLC@Gmail.com. Or contact us through our website by clicking HERE.